There are game jams about all kinds of things. The subject doesn’t really matter so much as the constraints introduced and the creativity that flows from game designers working to overcome them together. 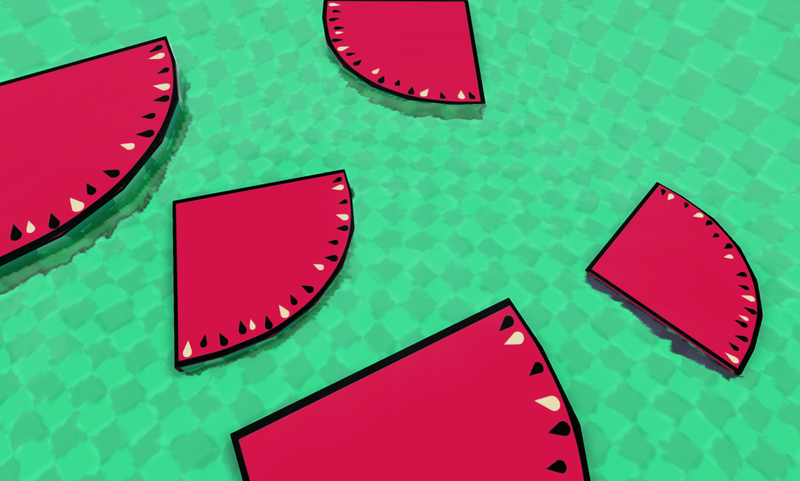 So why not a game jam about watermelons? It was originally born from an inside joke that began at last year’s A MAZE 2016, an international independent game developers hosted in Berlin. According to Adriel Beaver, who helped organize what would eventually become The Melon Game Jam, it had its origins in a Facebook chat that was used by the attendees to communicate with one another. The “Melon Chat” remained active throughout the year, but is began to shift away from games and events to becoming almost exclusively watermelon obsessed. “People kept (and still do!) sending pictures of anything watermelon-related, and there still remain about 75 people [in the chat[,” said Beaver. As a result, the director of A MAZE, Thorsten, decided to put together a game jam to honor the joke that had come to define the group over the course of the year. Beaver and GianLuca volunteered to help organize it and now, a month prior to A MAZE 2017 in April, the Melon Game Jam has spawned over thirty unique creations. One of them is Melone in the Dark. 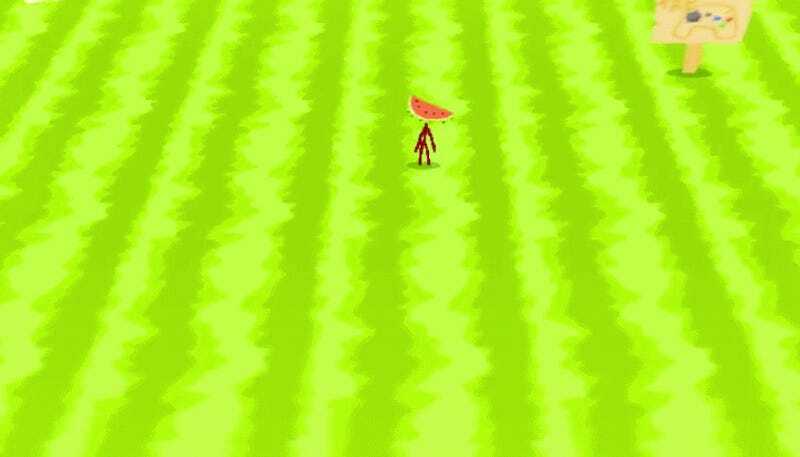 Put together by Marius Winter and Nick Maierhöfer, the game chronicles a man who loves sliced watermelon and creeps around late a night to satisfy his appetite. In the words of its creators, the game is a love letter to Alone in the Dark (1992) which they played in Kindergarten and still haunts them. 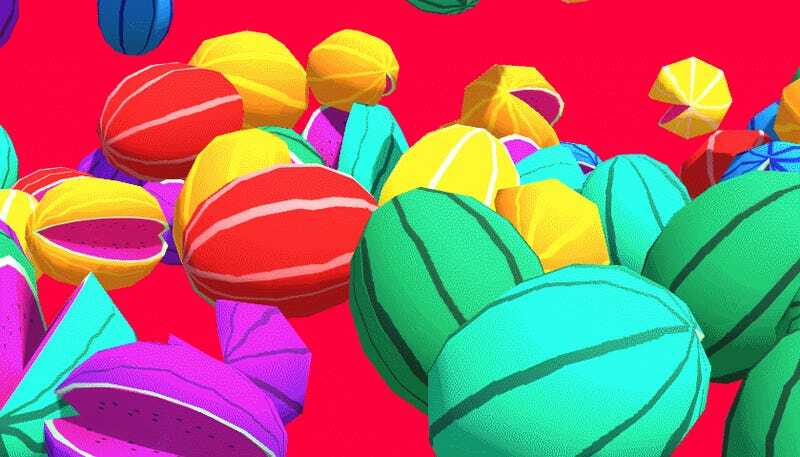 Another is called Watermelon Sugar, a puzzle game based on twitch reflexes and coordinating colors. As the name suggests, the game is based loosely on Richard Brautigan’s In Watermelon Sugar, a magical realist novella where the sun shines a different color every day and the watermelons get their colors based on the days they were planted. Clicking on watermelons in the game when they match the color of the background gives you points, while stringing them together yields combos. You can find the rest of the entries for The Melon Game Jam here.